The USDAA All-Around Dog Agility Championship (AADAC) is designed to recognize excellence in versatility, consistency and accuracy in USDAA’s Championship, Performance and Veterans titling programs. This premier event will attract a broad base of competitors and spectators from across North America and beyond. 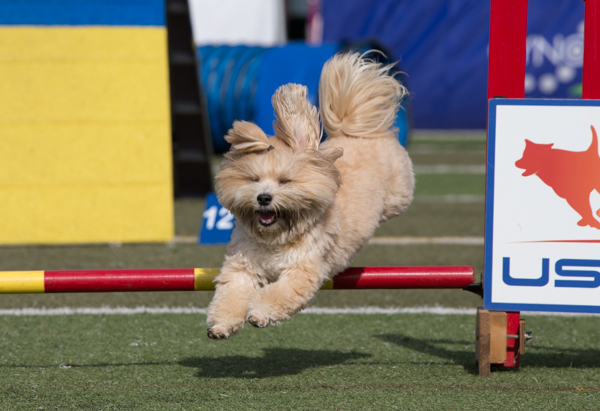 Over the course of four days, competitors will test their mettle through three rounds in each of the primary disciplines in dog agility competition—Gamblers, Jumpers, Snooker and Standard Agility. Pairs Relay classes are also offered as part of the festivities. AADAC champions will be named by discipline and for versatility in all disciplines by jumping height class, with the award of prestigious gold, silver and bronze medals. Regular title qualifications and annual Top Ten ranking points will also be awarded. AADAC is a come one, come all event, and open to competitors from all venues of agility. As a result, competitors may enter their dogs at their current level of competition or higher. For those not previously competing in USDAA events, the come one, come all nature of the event allows you to test your mettle at your chosen level. The results will be officially recorded and recognized for special AADAC awards at that level. Should you continue to compete in USDAA following the events, they will count towards official titles in the different classes once all prerequisites are satisfied. See USDAA Official Rules & Regulations, or contact the USDAA office for further information. Dog agility is an exciting sport in which the handler directs their highly trained dog around a unique obstacle course in a race against the clock similar to equestrian show jumping events. To learn more about the sport of dog agility, visit the United States Dog Agility Association web site at www.usdaa.com. 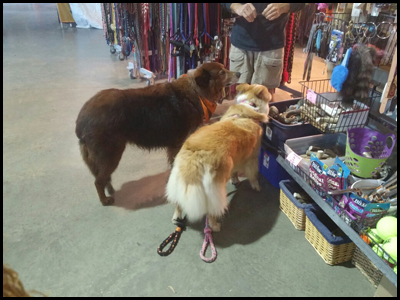 Check out dozens of vendors and exhibits to find what’s available in the dog world, your favorite craft, or what services may be available to you and your family pet. It’s the one-stop-shop for dog lovers everywhere. Vendors pay a fee to support the show, so please show your appreciation by visiting the vendors to say thank you while making a valued purchase. Watch the exciting action from previous television coverage of the Grand Prix of Dog Agility® World Championships Finals.